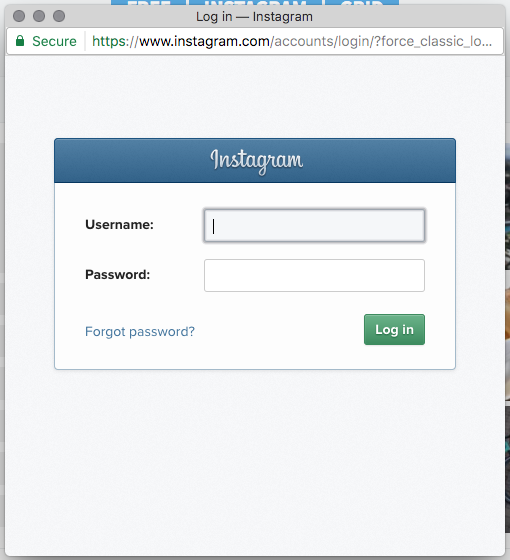 Note: There is currently an issue on Instagram when trying to authorise from a non-English browser. Please make sure your browser is set to English while doing the authentication. When clicking on the Username field in the widget setup screen you should see an authentication pop-up from the service you are creating a widget for. The pop-up will allow you to log in with your relevant account.